Hard water contains large amounts of minerals and metals, including magnesium and calcium, which can be damaging for your skin. It reacts with the skin’s natural oils, in a way that blocks pores and changes the consistency of the oils from liquid to wax, which causes breakouts. In some cases, people even notice inflammation and irritation on the face. Moreover, hard water makes soap less effective, leaving residue on the skin and drying it out. This increases oil production and would make for more acne breakouts. It’s then important to use soft water, Bountiful-based health experts recommend. This type is easy on the skin. In fact, some people report having softer, clearer skin after they make a switch and use soft water. A hot bath is certainly the best thing after a long and hard day, but apparently, it’s not as beneficial as it’s supposed to be on your skin. If you bathe at a temperature of 107 degrees Fahrenheit, you would likely dry out your skin since the hot water strips off natural oils. 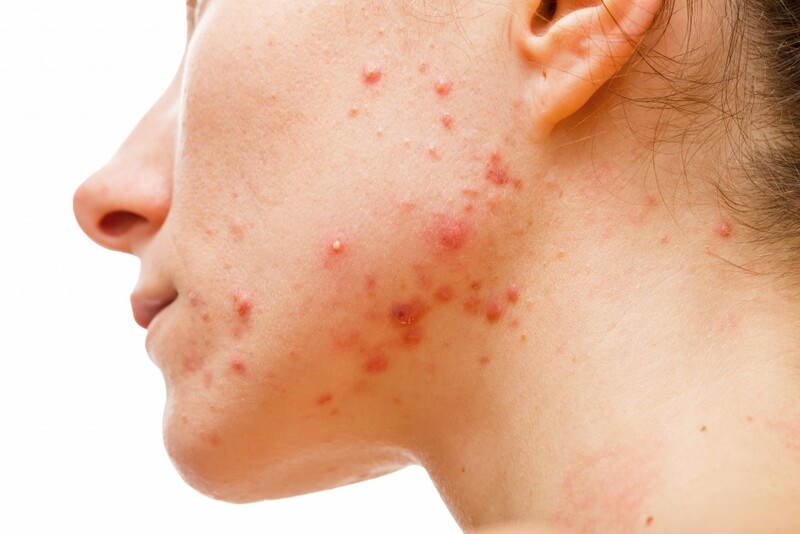 This can trigger more oils to be secreted, leading to acne flare-ups. Thus, a cold shower is your best bet. It tightens pores and prevents bacteria from getting into the skin. Some people even use the cold as the treatment itself, not just prevention for acne, like applying ice on pimples to reduce the swelling. The bottom line is: Choose cold over hot to protect your skin. Use lukewarm water, though, during winters. It’s not just the water you use that matters in saving your skin from acne, it’s also the water you take in. When you don’t consume enough water, the body is unable to purge out the toxins trapped in your skin, resulting in breakouts. It would make the skin dry as well, exacerbating the problem. Drink enough water every day. How much is enough? Contrary to popular belief, you shouldn’t follow the eight glasses rule religiously. You should instead remember the principle: “Trust your thirst.” Whenever you feel thirsty, drink up. It’s a sign of early dehydration. Listening to your body’s needs is the best way to gauge if you’re drinking enough. Use water filters at home to make sure you’re getting clean and safe water. Apparently, there are a lot of ways water (or the lack thereof) can trigger breakouts. For healthy-looking skin, consider soft water, choose cold over hot, and consume enough. You may already have a 10-step skincare routine, but if water isn’t part of it, you may have to deal with breakouts sooner or later.